Shortly after arriving in Virginia City, the family left in the spring of 1866 for Utah, arriving at Salt Lake City in the summer. They remained there a year, until her father died in 1867. As the oldest child, Martha Jane took over as head of the family and took them to Fort Bridger, Wyoming Territory, arriving in May 1868. From there, they traveled to Piedmont, Wyoming, on the Union Pacific Railroad. 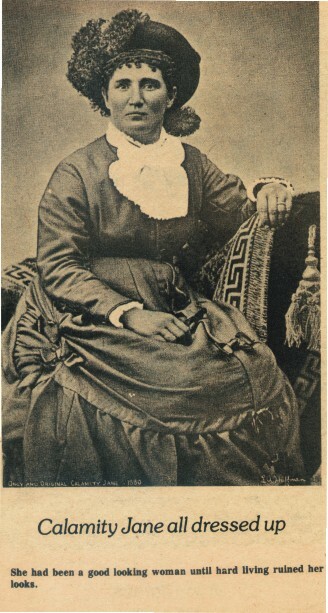 Next she went to Fort Russell in 1870 where, she says, she joined General George Custer as a scout and went to Arizona “for the Indian Campaign.” (With the West still vastly wild territory, white settlers and Native Americans were often having conflicts, so U.S. soldiers were sent to subdue the tribes, using scouts who knew the terrain.) 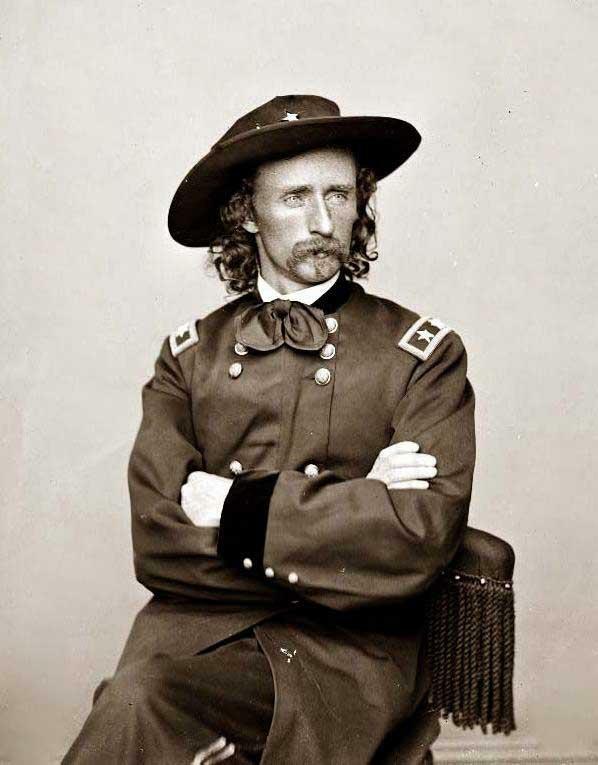 However, no evidence exists that Custer was ever at Fort Russell; another source states it is more likely that she served with General George Crook, who was stationed at Fort Fetterman, Wyoming. After that campaign, the regiment was ordered to Fort Custer, where Custer city is now, arriving in the spring of 1874. They stayed there until returning to Fort Russell that fall. The next spring, they were ordered to the Black Hills in the South Dakota Territory to protect miners and settlers. They stayed there until fall of 1875 and spent the winter at Fort Laramie. The next spring, they were ordered to the Big Horn River along with General Crook, to join Generals Miles, Terry and Custer again. 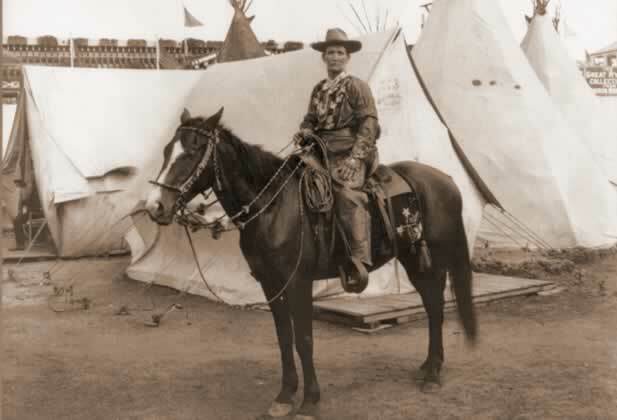 During this march to the Big Horn, Jane swam the Platte River at Fort Fetterman bearing “important dispatches.” It was a 90-mile ride, both wet and cold, and she became severely ill.
After recuperating at Fort Fetterman for two weeks, she rode to Fort Laramie, where she met James Butler “Wild Bill” Hickok. Together, with Colorado Charles Otter, his brother Steve, and Kittie Arnold, they rode to Deadwood, South Dakota, arriving “about June” 1876. 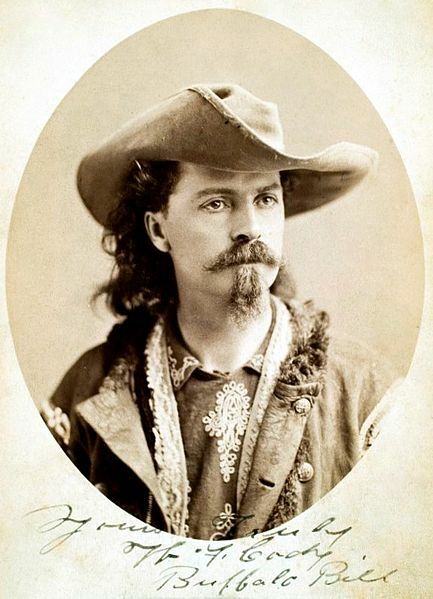 Legend states that she and Wild Bill were involved during the gold mining years in Deadwood; however, there is no evidence supporting this theory, although it seems she wanted a relationship with him but he did not feel the same. 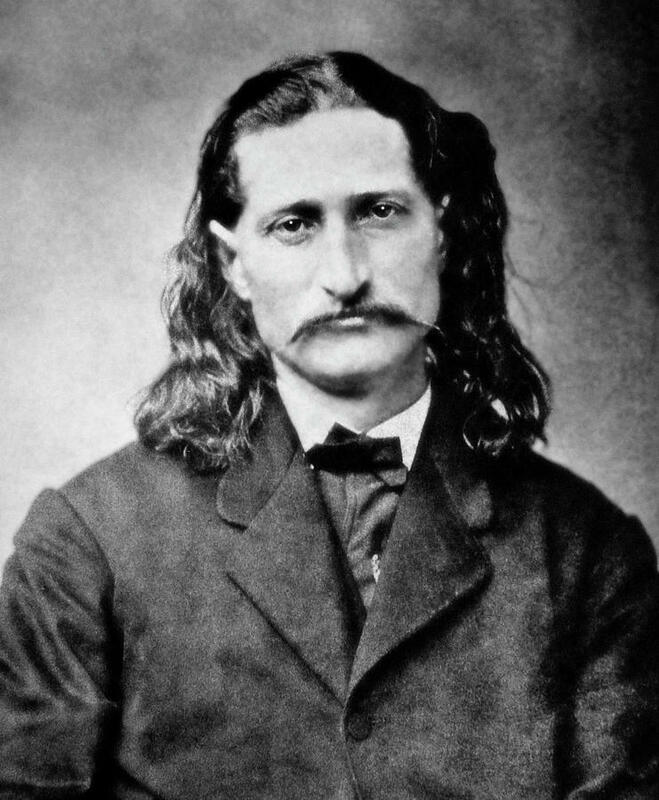 Hickok had just married Agnes Lake Thatcher of Cheyenne, Wyoming, in March of that same year, and was writing letters home to her in Ohio. 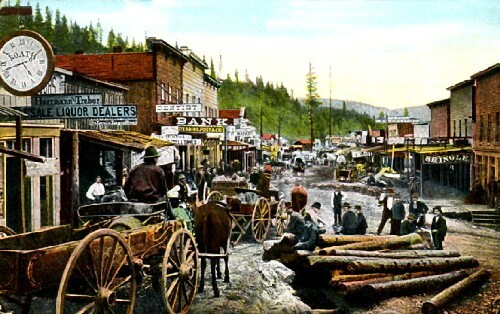 He was trying to make quick money in the boomtown, not by gold mining but by gambling — and it proved to be his downfall. In 1878, a smallpox epidemic hit Deadwood. 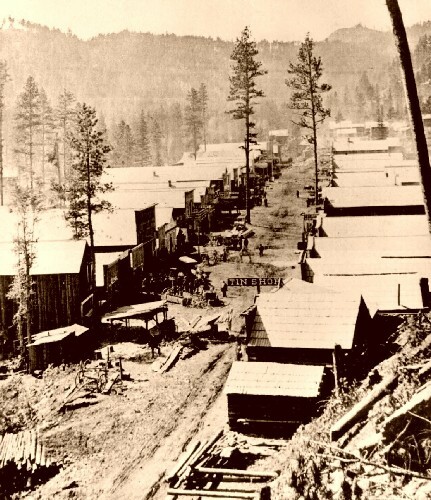 Eight men were quarantined in a little shack in the mountain area called “White Rocks.” According to Dora DeFran, a notorious madam of brothels in the Black Hills, Jane volunteered to care for them — with only epsom salts and cream of tartar. Three of the men died and, as she buried them, she recited the prayer “Now I Lay Me Down to Sleep.” DeFran wrote that “her good nursing brought five of these men out of the shadow of death, and many more later on, before the disease died out.” Interestingly, Jane wrote nothing of this in her memoirs. In 1881, Jane went to Wyoming; returning to Miles city in 1882 and starting a ranch on “the Yellow Stone” raising stock and cattle. She also kept “a way side inn, where the weary traveler could be accommodated with food, drink, or trouble if he looked for it.” She left that in 1883, travelling west and reaching Ogden, California, in late 1883, then San Francisco in 1884. That summer, she left for Texas, reaching El Paso in the fall. Biographers tend to think Jane’s marriage occurred sometime in the 1890s; one source dates it at September 25, 1891. 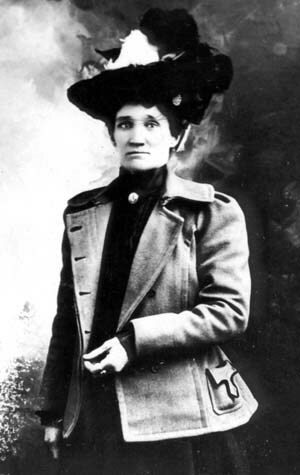 While she did not write of any other men, or children, evidence exists that she was involved with a Robert Dorsett in the 1880s. 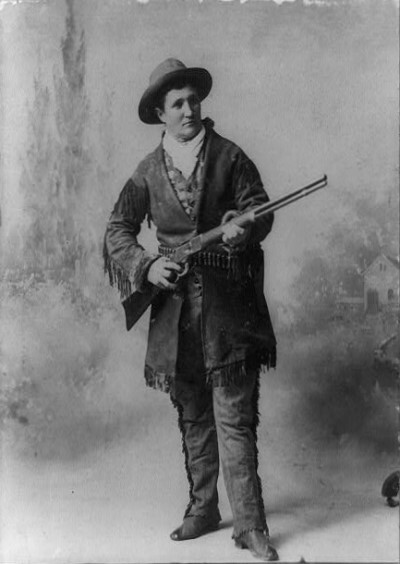 And a court record from November 1888 states that “Charles Townley, an unmarried man, and Jane Doe, alias Calamity Jane, an unmarried woman, [did at times] unlawfully bed, cohabit and live together … without being then and there married.” Apparently she also had relationships with a Wyoming rancher named King and a William Steers. Nothing more is written anywhere of her baby girl, or her name, even in Jane’s memoirs. 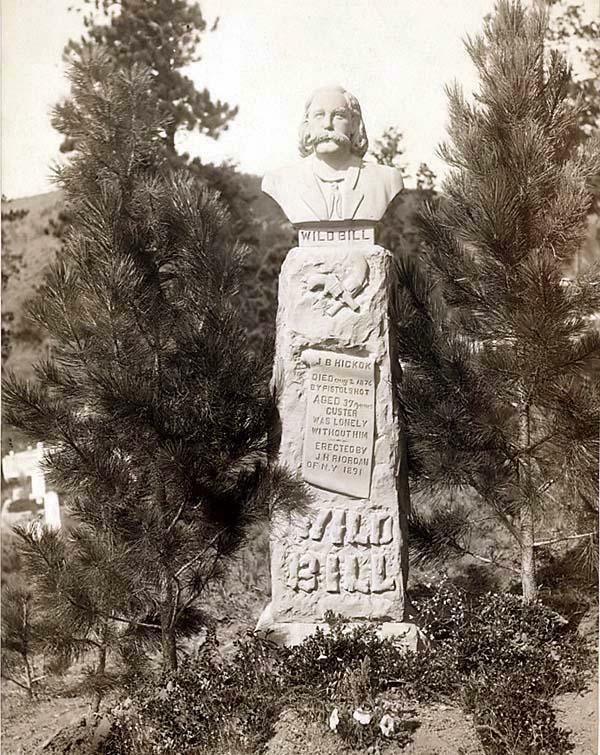 Now 51 years old, Jane returned to Deadwood, visiting Wild Bill’s grave in Mt. Moriah Cemetery, and even posing for a picture there. In July, she travelled to Terry, South Dakota, a small mining town, and stayed in the Calloway Hotel, where several old friends visited her. On August 1, 1903, at 5:00 p.m. she died. 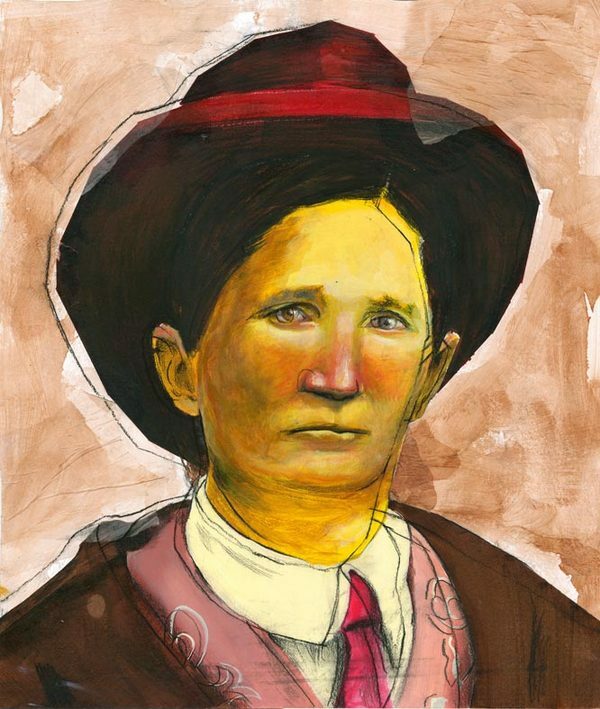 She had requested her funeral to be conducted by the Black Hills Pioneer Society, and supposedly said, “Bury me beside Wild Bill — the only man I ever loved.” And so she was.